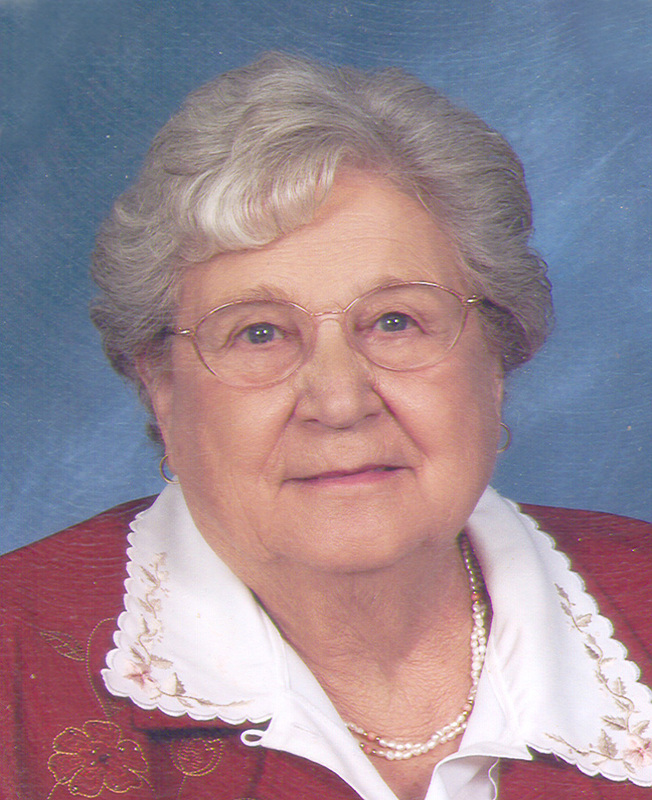 Lorene E. Hemker, nee Detmer, 78, of Bartelso died Wednesday, March 8, 2006 at Anderson Hospital in Maryville. Mrs. Hemker was born February 6, 1928 in Damiansville to Joseph and Wilhelmina (Wesselmann) Detmer; they preceded her in death. She married Henry Hemker on May 11, 1955 at St. Cecilia Catholic Church in Bartelso; he preceded her in death on June 25, 1971. Also preceded in death a son, John Hemker; a granddaughter Michelle Tebbe; brothers, Joseph Detmer, Theodore Detmer, and Donald Detmer; sisters, Sr. Dolores Detmer, ASC and Evelyn Detmer; sisters-in-law, Cleta Detmer, Pat Detmer, and Aggie Detmer. Surviving are her children, Lester (Kathy) Hemker of Bartelso, Donna (Ralph) Tebbe of St. Rose, Mark (Lucy) Hemker of Bartelso, Bonnie (Ralph) Schmersahl of Okawville, Nancy (Larry) Oelrich of New Baden, Janet (Joe) Seiffert of O’Fallon, and Michael (Michelle) Hemker of Germantown. 18 Grandchildren-Allan, Brad, Laura, and Melissa Hemker all of Bartelso, Cheryl and Brett Tebbe of St. Rose, Jeremy (fiancée Laurie Henken) Hemker and Kristin (special friend Terry Jordan) Hemker of Bartelso, Angie (fiancé Ryan Stahl) Schmersahl and Amanda Schmersahl of Okawville, Kristi, Tami, and Kyle Poettker all of New Baden, Daniel and Jill Seiffert of O’Fallon, Ashleigh, Alexis, and Ali Hemker of Germantown. 2 Step-Grandchildren- Trent and Renae Oelrich of New Baden. Brothers, Stanley Detmer of Bartelso and Regi (Julie) Detmer of Breese. Sisters, Mary (Herman) Huelsmann of Aviston and Rosie (Bill) Athmer of Damiansville. Lorene was a homemaker and a Dairy Farmer; she enjoyed spending time with her family, playing bingo, pinochle, euchre, canasta, and quilting. She was a member of St. Cecilia Catholic Church and Ladies Sodality, Bartelso Young at Heart Club, Clinton County Farm Bureau, and St. Joseph Hospital Auxiliary. Mass of Christian Burial will be Saturday, March 11, 2006 at 11:00 AM at St. Cecilia Catholic Church in Bartelso with Fr. Henry Fischer officiating. Interment will follow in St. Boniface Cemetery, Germantown. Visitation will be Friday, March 10, 2006 from 4:00-9:00 PM and again on Saturday, March 11, 2006 from 8:00-10:30 AM at the Moss Funeral Home in Germantown. Memorials can be made to the American Cancer Society or to the charity of the donor’s choice and will be received at the funeral home.